From the Green Collection. 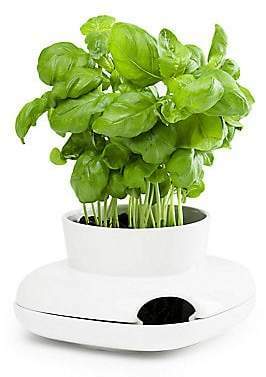 Start growing and add some green to your kitchen with this sturdy planting pot from Sagaform. 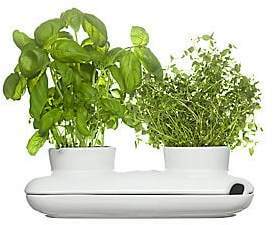 Get a jump on your herb garden and start growing fresh herbs that are ready for use. whether it be from a seed or a part of the human condition, growing is for many a passion. Finding inspiration and motivation from the earth and all things that grow gives us comfort in knowing we can bring life in a sturdy pot! 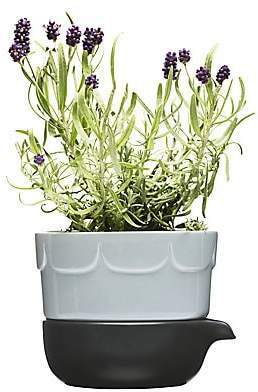 This herb pot from designer Ann-Carin Wiktorsson is excellent for use with herbs, plants and vegetables. The design allows for water to be poured in the bottom of the planter allowing the plant to drink when thirsty. 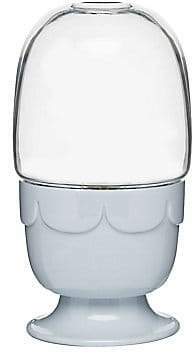 Stoneware Hand wash Imported SPECIFICATIONS 5.5"W X 4.5"H Please Note: Plant is not included. 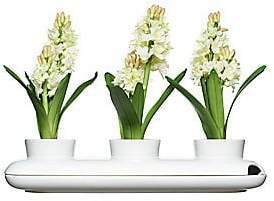 Gifts - Decorative Home. Sagaform. Color: Blue.